HTML5 Flipping Book comes with a special plugin that will allow you to insert a publication into an article. Click the link inside the article to view the publication. 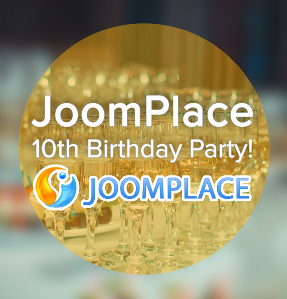 JoomPlace celebrates its 10th anniversary on Joomla! Extensions & Development market! 10 years have been the years of challenges, hard work and eventual rewards! JoomPlace started in the distant 2004 as Mambo / PHP developers’ department at Belitsoft and grew into a reputed Joomla! Development Company! Within 10 years we launched 35 Joomla! extensions & modules and developed hundreds custom projects. We would like to thank all our clients and business partners for being with us all these years, for your support and loyalty! We highly appreciate the fact that you help us grow and improve. We look forward to continuing to work together in future!